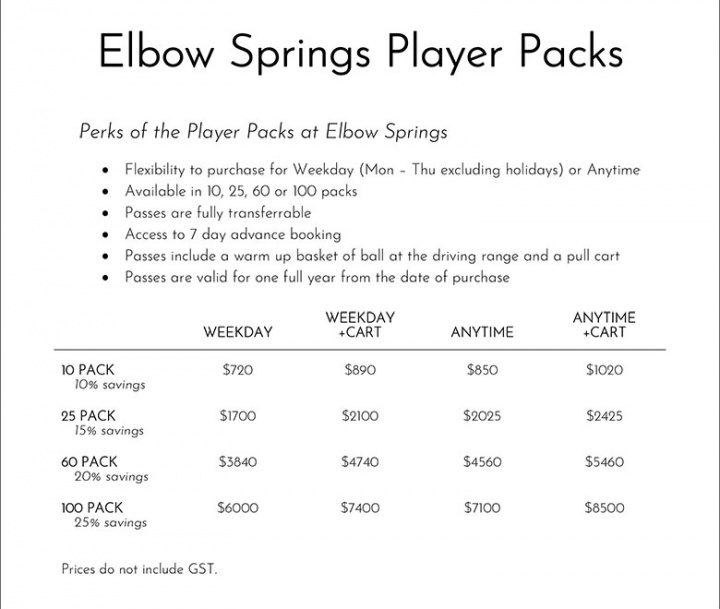 The Elbow Springs Golf Club app enhances your golf experience. Use it to get all the latest news, easily book your next tee time, score your round and more. Today is Twilight Tuesday!! 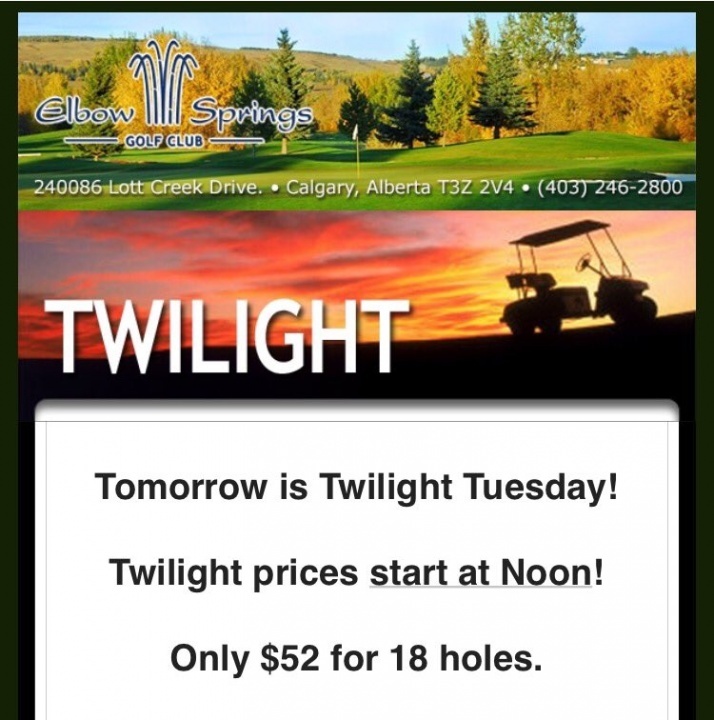 Our twilight price of $52 Starts at noon!! Call the pro shop to book. 20% OFF Titleist, Cobra, Callaway, and Ping clubs. Book an appointment and bring in your old set to be appraised. 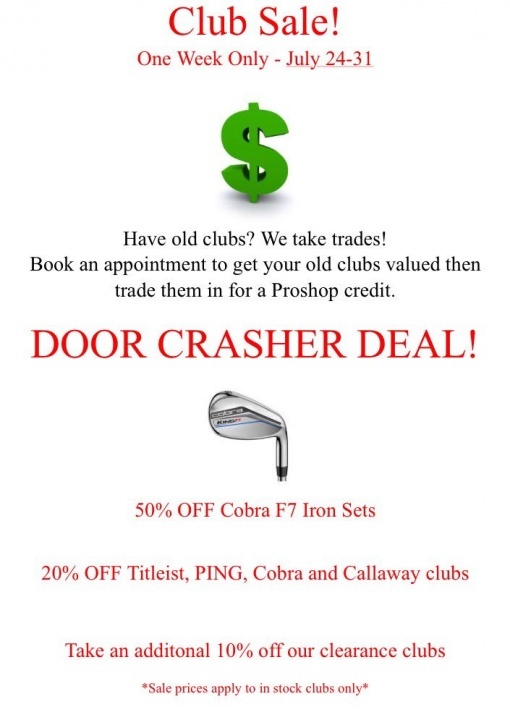 We'll give you a pro shop credit for the value of your used clubs. 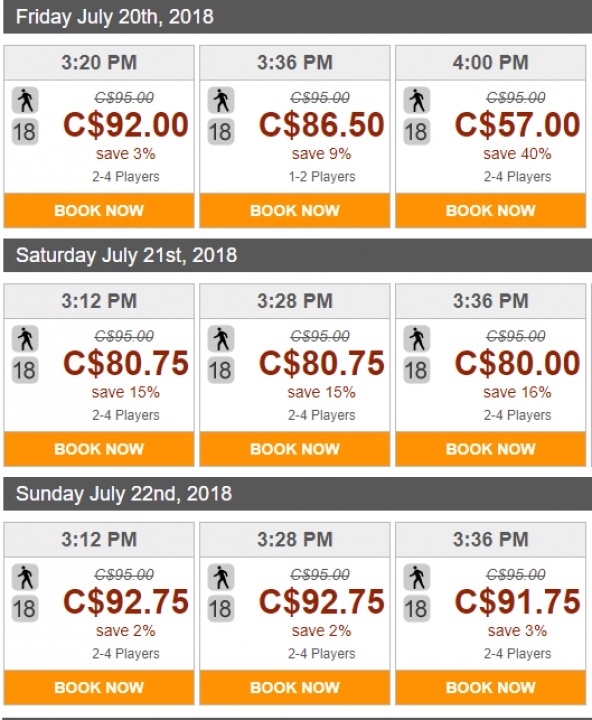 Special Offer: 20-Bucket Pass - Save $90! The Elbow Springs driving range is now open on natural surface tees. Fine-tune your swing on grass, not mats. To make things better, you can save money all season long with a 20-Bucket Range Pass for just $150. Regular price is $12 per bucket. 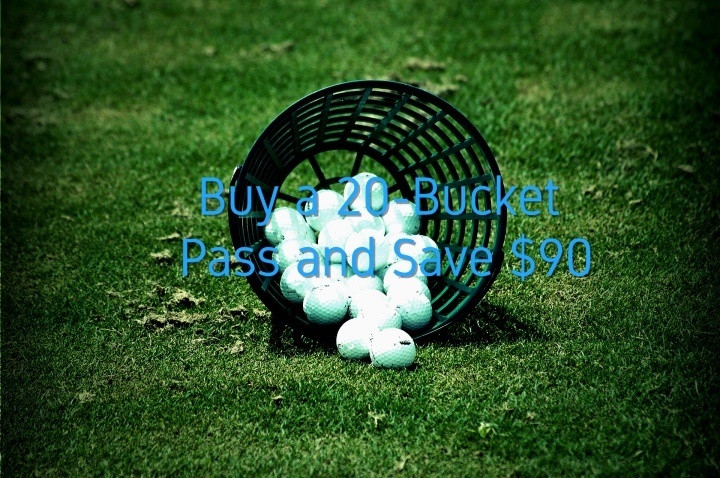 Buy a 20-Bucket Range Pass and save up to $90. Buy your 20-Bucket pass at the pro shop. This Saturday after 5:00 pm, 2 adults and 2 kids can play 9 holes of golf and share a delicious pizza for just $79 + GST - carts included! Space is limited. 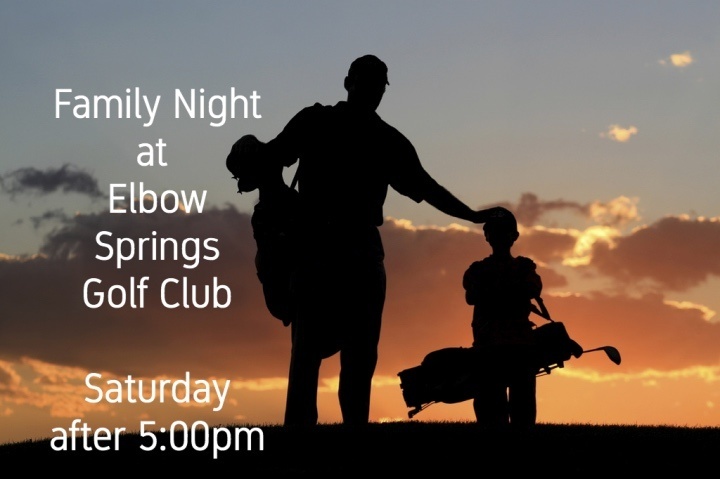 Book today and spend some quality family time at Elbow Springs. Kevin scored 0 on 0 holes at Mountain View to Elbow. Greg Spry scored 43 on 9 holes at Mountain View to Elbow. Kendall Rogers scored 106 on 18 holes at Mountain View to Springs. Shane McGivern scored 0 on 0 holes at Elbow to Springs. 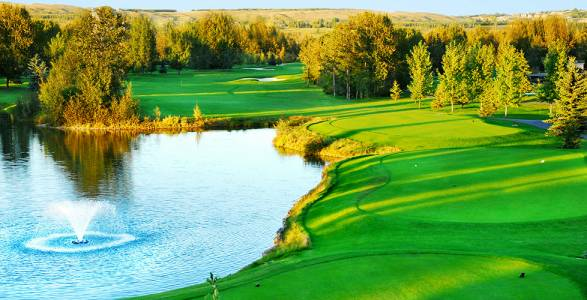 Doug sadler scored 92 on 18 holes at Elbow to Springs.